Punta Cana is the region located at the furthest eastern point of the Dominican Republic. This traveler's paradise is known for its gorgeous white sand beaches, its luxurious resorts, and its tropical vibe. 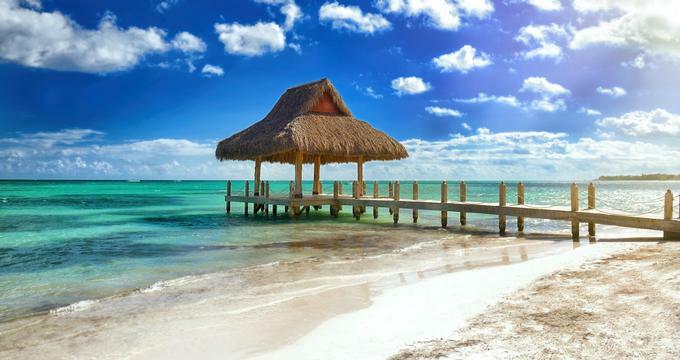 Visitors can scuba dive, go deep sea fishing, swim with dolphins, or go horseback riding in Punta Cana, all under a cloudless sky and surrounded by sparkling blue waters. There are also plenty of cultural options in the Dominican Republic, where visitors can tour classic Dominican homes, try traditional food or drinks, or tour some of the production facilities where products like cocoa, cigars, rum, and coffee are made. Bávaro is an area in Punta Cana, located in La Altagracia province, Dominican Republic. While Punta Cana was built as an area for tourists, Bavaro was developed as a home for the resort workers and their families. Over the years, as hotels started to rise along the east coast, north of Punta Cana, Bavaro itself became a tourist area. 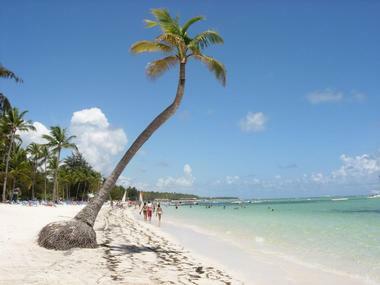 There are numerous hotels in Bavaro, the oldest and most historic one is called Barcelo. There's also a shopping mall, Plaza Palma Real, as well as various other facilities, such as gift shops, bars, restaurants, the Mangu and Areito discothèques, and a White Sands golf course. Seaquarium Punta Cana is an amazing underwater adventure. The experience starts with an open-top bus that picks up its passengers at their hotel and takes them to the quay, where a modern catamaran will be waiting. While on the catamaran, passengers can enjoy an onboard party with live entertainment and music, fresh fruits, snacks, and drinks. And once they come to the quay, they'll get the chance to walk underwater, snorkel with fish, sharks, and manta rays, and even get a kiss from the sea lion. The party continues in the warm waters of a natural sea pool in the Caribbean Sea. 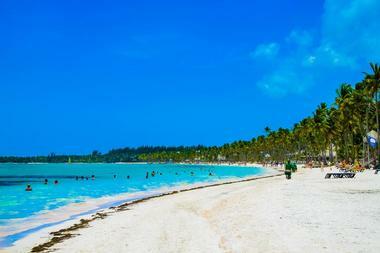 Macao Beach is located right at the end of Carretera Higuey, just a short ride away from all the action in Punta Cana. The road leads directly to the sand, where there is a place for cars to park. This beautiful beach, in a peaceful rural setting, is the perfect place for anyone who is looking for a relaxing afternoon in the sun. The view here is beautiful, the sand is soft, and coconut palm trees are there to provide a shady respite from the sun in the deep blue sky. Unfortunately, there are no on-site public restrooms, but there are several activities in the vicinity, such as the Hard Rock Casino Punta Cana and the Hard Rock Golf Club at Cana Bay. The Indigenous Eyes Ecological Park and Reserve (Reserva Ecologica Ojos Indigenas) is a 1,500-acre area owned and operated by the Punta Cana Ecological Foundation. It consists of lowland subtropical forest with twelve freshwater lakes. The whole place is dedicated to conservation and scientific research as well as recreation. Historians discovered that the Taíno Indians, former inhabitants of the island, referred to the lakes as "eyes" (ojos in Spanish) because of their distinctive shape and formation. Numerous exhibits describe the cultural and natural history of the island to all its visitors. They can visit an iguana habitat, a sugarcane exhibit, or a petting zoo with many animals that are common in the Dominican Republic. 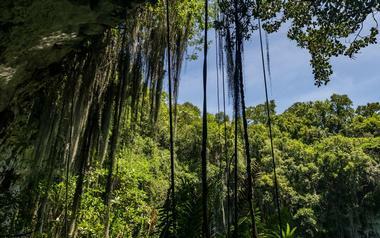 Manati Park, founded in 1996, was the very first theme park in the Dominican Republic. It's a place where visitors can enjoy five amazing shows and discover more than 150 species of animals, including sea lions, manta rays, horses, and parrots. Through several education and investigation projects, Manati Park aims to preserve nature and all of the species in the park. Another fun activity to try is swimming with dolphins in the Dolphin Island Park. Some lucky visitors might even steal a kiss from one of the dolphins. There are food and beverage facilities in Manati Park as well as two beautiful natural wells in which visitors can enjoy a relaxing soak. 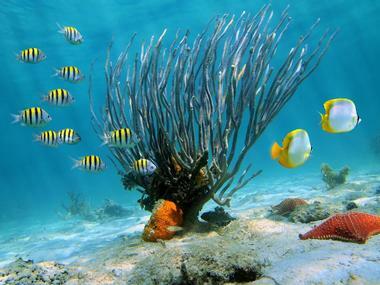 Marinarium Marine Park & Aquarium is located in Cabeza de Toro, between Bávaro and Punta Cana. This park provides exciting tours and excursions, suitable for people of all ages who want to explore the coast and coral reef and discover the beauty of marine life. Through eco-tourism and educational programs, Marinarium fosters environmental conservation and the preservation of nature for future generations. All snorkeling equipment is supplied, as are snacks and beverages. Transfers in both directions are included in the price of the excursion. 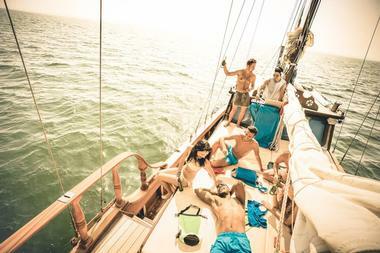 These trips are a perfect opportunity to celebrate an anniversary or birthday or just enjoy a casual party on a boat. Altos de Chavón is a replica of a 16th century Mediterranean village, located on a rocky outcrop above the Chavón River in La Romana, Dominican Republic. It was designed by Jose Antonio Caro, a Dominican architect, and Roberto Coppa, an Italian designer and cinematographer. Local artisans handcrafted every detail in this marvelous village. 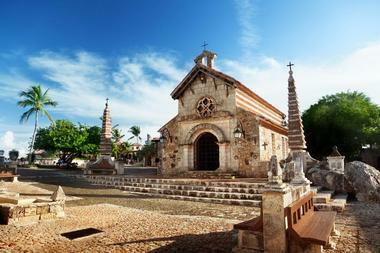 Altos de Chavón is one of the most popular attractions in the city, and it features facilities such as an archeological museum, a cultural center, and an amphitheater. It's also home to the renowned Altos de Chavón School of Design, affiliated with the famous Parsons School of Design from New York. Aromas Museum is an innovative private museum located in Punta Cana, Dominican Republic. It is dedicated to the production of rum, coffee, cigars, and cocoa, and their importance in the cultural history of the Dominican Republic. Visitors can touch, smell, and taste all these products. The museum also organizes tours to various local farms in the vicinity, where visitors can observe the process of harvesting and producing these products. Also on display in this unique museum is "Larimar" – a semi-precious stone that can be found only in the Dominican Republic. All visitors will get an opportunity to learn more about the Taíno culture and other traditions that are unique to the Dominican Republic. Big Marlin Charters is a fishing and boat charter company located in a lively tourist area of Punta Cana and caters to both experienced fishers and beginners. Big Marlin Charts offers exciting deep-sea fishing adventures to all the visitors of Punta Cana. The professional and friendly staff provide great customer service and speak both English and Spanish. An experienced local captain navigates each fishing charter, and all guests are assisted by an attentive first mate, who is always there to help them with advice. Yachts are available for various events and celebrations, too. The company has its own van for transfers. 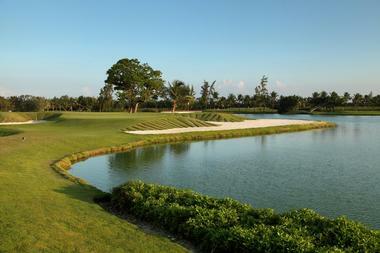 Cana Bay Beach Club & Golf Resort is so much more than just a resort. This marvelous destination is located right on the beach of Arena Gorda in Punta Cana. It features several amenities such as a Hard Rock Golf Club with an 18-hole golf course, Cana Bay Beach Club with a beach bar and restaurant, which both serve tasty food and lovely cocktails, and Cana Bay Racquet Club, which has two tennis courts and two paddle courts. The Wellness Center & Spa is under development and should be opened in 2018. This Instagram-worthy location will have a juice bar with natural smoothies, a few treatment rooms, and a private swimming area. 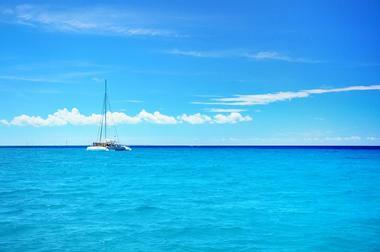 Catalina Island is a beautiful island with white sand beaches near the southeastern coast of the Dominican Republic. It has three main beaches (the West, North and East beaches), which occupy more than two-thirds of its coastline. The island is small, with an area of only 5 square miles. On its southern edge, visitors to Catalina Island will find some unique rocky coasts. Since it's a protected natural park, there are no buildings. There are plenty of raccoons and wild hares on the island, all of whom are accustomed to visitors taking photographs, but tourists should make sure to keep a safe distance from any wild animal they encounter. 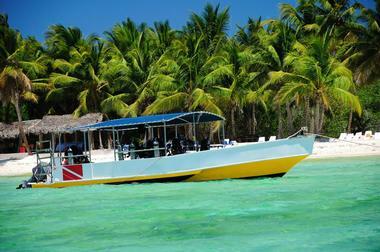 Catamaran Tours Punta Cana offer so much more than just a ride. 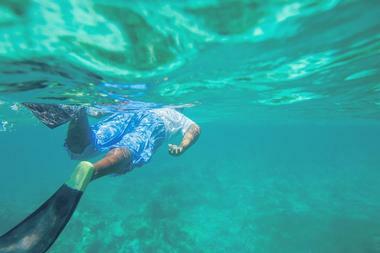 Their specialty is creating memories that will last a lifetime through an unforgettable snorkeling trip. These tours are perfect for weddings, birthdays, corporate events, and other special occasions. The fleet consists of several different catamarans – Teresa, Santa Maria, Forever Teresa, and Maite. Each watercraft has plenty of space to maximize the fun. Semi-private tours are also available, which means that there will be no more than 25 passengers aboard at one time. The catamaran staff will ensure that all customers get their proper mask and fin size for snorkeling, and a special platform is there for easy access to the catamaran from the water. 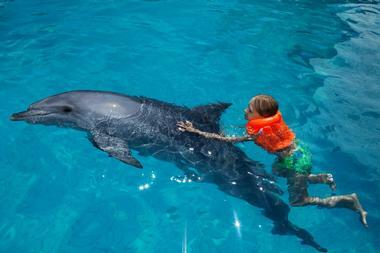 Dolphin Explorer allows guests to swim and interact with dolphins in their natural habitat. It offers a unique and unforgettable experience while also teaching all its visitors about the conservation of terrestrial and marine life in Punta Cana and the Dominican Republic. This site also features some tropical birds, sharks, sea lions, stingrays, and many others animal species as well as an exciting catamaran ride. Aboard the Dolphin Cruiser, visitors will sail through crystal-clear waters along the coast of the Natural Reserve of Cabeza de Toro in Punta Cana. Dolphin Island Park, founded in 2004, is a part of the Manati Park. It's the first park in the Dominican Republic to offer the opportunity for direct contact and swimming with dolphins in the sea. 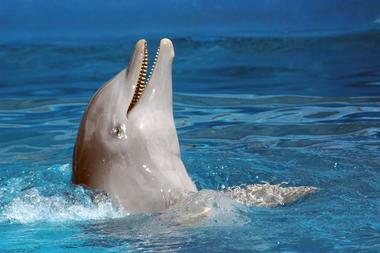 There are different programs available –the Dolphin Action Program, Dolphin Royal Swim, and Dolphin Family Experience – each with different benefits and options. All customers who book a swim with dolphins will also get the opportunity to enjoy the Radikal Jet Boat ride and to snorkel with sharks and manta rays, free of charge. Due to safety reasons, there are some height restrictions, and pregnant women aren't allowed to take part in this activity. Hard Rock Hotel & Casino is the best all-inclusive resort in Bavaro. It has nine different specialty restaurants, complemented with 23 bars, as well as numerous amenities which include 13 massive swimming pools, tennis and golf courts, and so much more. Luxurious rooms feature private balconies, free Wi-Fi, 24-hour room service, and LCD TVs with satellite channels. Kids are also welcome, and there are several amenities suitable for them as well as a nanny service for parents who want to have some time just for themselves. Teens can have fun playing mini-golf, or in the arcade and the Xtreme Center, while younger children can stay in the Little Big Club. HorsePlay Punta Cana is a tourism company that offers several eco-friendly tours. Customized tours are also available for those who want a personalized experience. 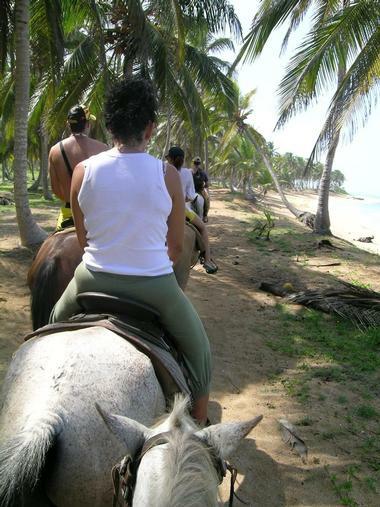 A tour with HorsePlay is an excellent opportunity to learn more about Dominican culture and lifestyle. All visitors will enjoy horseback riding, ziplining, and tastings of local Dominican meals as well as cocoa and coffee, but for some, the highlight of the trip will be at Rancho Real, the place where some of the finest tobacco in the world is available. No previous horseback riding experience is required, and guides will help everyone with these friendly horses. For safety reasons, pregnant women are not permitted on these tours, and the minimum recommended age is 5 years. Hoyo Azul lagoon (the Blue Hole) is a unique natural pool in Punta Cana with crystal-clear water, located off the base of a 75 m cliff. There are two eco-friendly tours that can lead you there and let you enjoy the view while relaxing in the refreshing water. Both of these tours are suitable for families with children, but pregnant women are not permitted to take part. Tours are led by experienced guides, and the transportation to and from any hotel in Punta Cana is included in the price. 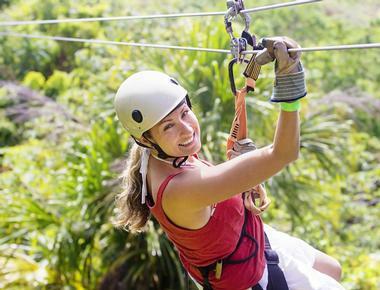 Guests can choose from two packages: the Hoyo Azul Cave Explorer or Hoyo Azul Zip Line tour. 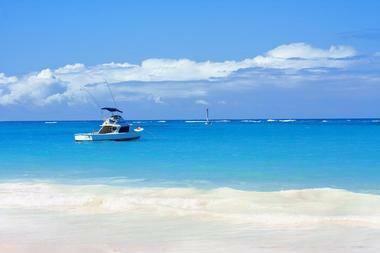 Punta Cana has so much more to offer than just resorts and beaches. 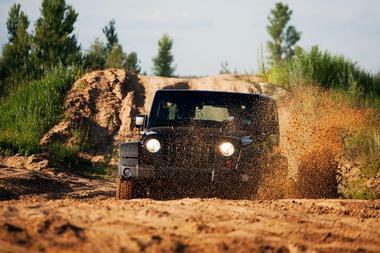 Jeep Safari 4WD Tours provide a great opportunity to explore the amazing surroundings of the city and enjoy the real Dominican lifestyle. 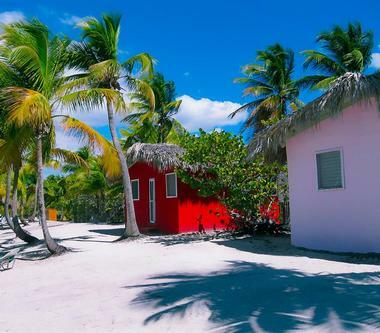 Guests can visit a Dominican village house, taste a typical Dominican meal, and relax on Macao Beach. 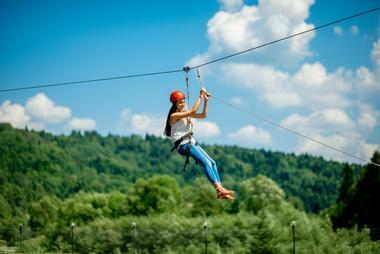 Four different locations are combined with various activities to create a perfect family-friendly outdoor adventure. Everybody will get an opportunity to roll their own cigar, taste natural cacao, try a sip of Mamajuana, soar through the air on a zipline, and take a ride on horseback. Punta Cana Party Boat is a perfect place for a party, with a friendly and attentive crew. This double-decker catamaran boat will take all its passengers through the marvelous coast of the Punta Cana into breathtaking coral reefs. There is plenty of fun music and an all-inclusive open bar with appetizers, but this party boat has plenty more to offer. Guests can also choose from several snorkeling and parasailing tour packages, suitable for everyone from beginners to the most skilled. A fishing charter boat is also available for an intimate group of fishers, with a maximum of 10 people – seven fishers and three spectators. Punta Blanca Golf & Beach Club is located in the touristic area of the Dominican Republic and surrounded by lush vegetation. It features a golf course of 18 holes, designed by the prestigious player and golf course designer Nick Price, as well as a pro shop with a wide variety of products and accessories. 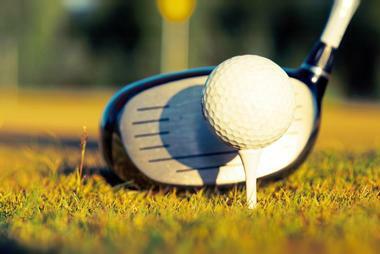 There is also a clubhouse, where guests can enjoy endless activities, and restaurants with extensive menus. Guests can stay in the Ambar Life Apartments, Golf Residences, or in one of the villas. A services bureau is there to take care of the guests and fulfill any of their demands, whether they wish a personalized shuttle service or they want their clothes washed and ironed. 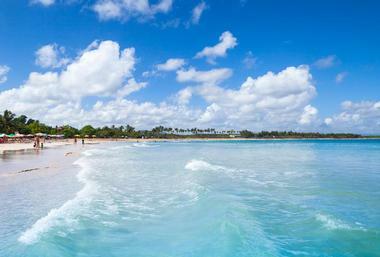 Punta Cana Beach is located on the eastern side of Hispaniola, in the vicinity of Punta Cana. It can get somewhat crowded almost every day with guests from numerous resorts and visitors from other areas of the island, who come to see why this is one of the most recognized Dominican Republic beaches. It looks like a never-ending line of beautiful white sand and clear turquoise water. There aren't any on-site restrooms, and the only things found on the beach, besides people, are palm trees, beach chairs, and plenty of beautiful white sand. 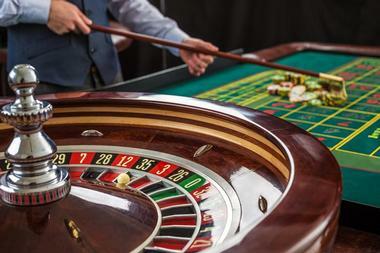 There are several activities in the vicinity, such as the Corales Golf Club and Catalonia Bávaro Casino. Runners Adventures offers a range of high-quality guided tours of eight different destinations of the Dominican Republic. The most popular tours include Monkeyland, where all visitors can get up-close and personal with some friendly squirrel monkeys, and a Caribbean VIP Safari, where guests will enjoy a barge ride along the famous Chavon River. Runners Adventures also offers city tours to Santo Domingo, Puerto Plata, and San Pedro de Macorís as well as a trip to the 165-foot-high El Limón Waterfall and the longest zipline in the Caribbean. These excursions are an excellent opportunity for visitors to visit a typical Dominican house and learn more about Dominican culture. Scubaquatic Punta Cana is a PADI five star Dive Center located just a few minutes from numerous resorts along the coast of Cabeza de Toro, between Punta Cana and Bávaro. It's perfect for anyone who wants to take a diving course or a boat excursion or maybe enjoy the excitement of some watersports such as a deep-sea fishing or parasailing. 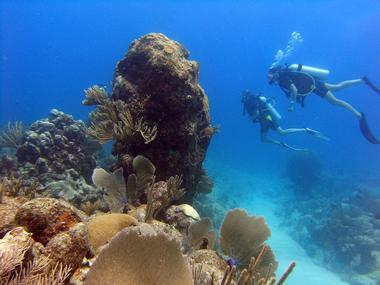 Scubaquatic has an international team with highly motivated and well-equipped instructors and guides. 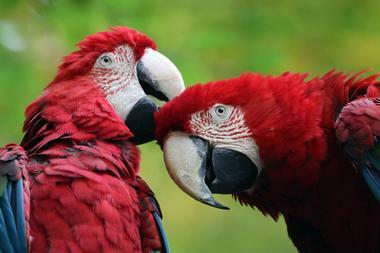 They speak several languages, including English, German, French, Spanish, Russian, and Dutch. All PADI standardized courses are available, starting from Discover Scuba Diving, which is a single day adventure, to professional certifications like Divemaster and Open Water Scuba Instructor. 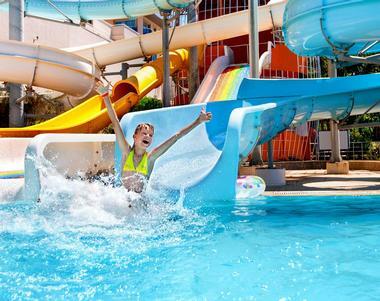 Sirenis Aquagames Punta Cana is an exciting water park that provides wet and wild adventures for the whole family. It's the first and only water park of its kind in the Dominican Republic. A pirate-themed area with slides, climbing nets, splash buckets, and so much more will surely entertain every child for hours. Dedicated staff organize different activities for the kids in the kids' club, and babies can stay in the baby pool, with shallow waters and bright, colorful fish statues. There's also a bar and grill that offers cold drinks and various delicious foods, from pizza and hamburgers to fresh green salads and paella.